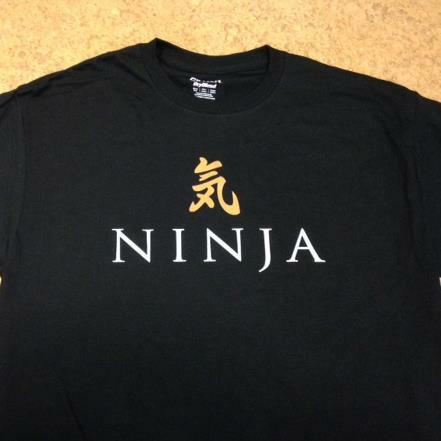 Show off your Ninja Training with this black Ninja Selling T-shirt with ‘Ki’ logo. Shirt sizes are S, M, L, XL, and 2XL. Pre-shrunk, unisex t-shirts. Please specify size in the customer notes section on the checkout page.